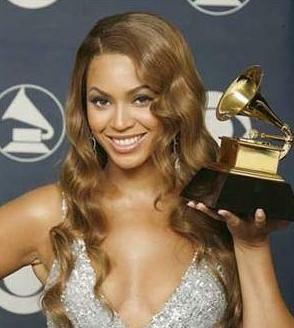 *Everyone knows how long the Grammys can get each year. So in an effort to cut the show short, the organizers announced Wednesday that next year’s ceremony will be short 31 categories. In the past, 109 awards were given out, but now artists in only 78 categories will be acknowledged. That’s still quite a few, but a relief in time. However, some folks just might be sadly affected. The R&B world took one of the largest hits with the number of awards reduced from eight to four. The three coveted R&B vocal performance awards for males, females, and groups have been merged into an all inclusive R&B Performance Award. The decision to cut so heavily in the R&B category came due to the reduced number of submissions. But the rap category will be spared in the cut, for the most part. The reconstruction of the Grammys also includes this major change – categories will be removed for the awards year that receive less than 25 submissions during the eligibility process. In past years the minimum was only 10. If the categories fail to meet the minimum requirement for three consecutive years, it will be permanently dropped from the awards ceremony. If people how rigged the Grammy nominating process truly is, it would never be a revered honor. The Kennedy Center Honorees don’t even total 180 winners since the award began in the 70s. There are nearly that many Grammy nominees in one year. How special is that? Bart, you make a good point. I guess this reform is a step in the right direction, but I wouldn’t mind a complete overhaul anyway. First of all, it’s difficult to rate “art,” so if it’s all about sales, they should say so. If it’s about “originality” or “composition” or “creativity,” they should say that as well. But this “best song” is ridiculous because of how subjective that kind of thing is. Beyond that, refining the definition of “soul” or “r&b” or “rock” would help. Eur has a picture of Beyonce on an article that’s talking about R&B. Sorry, her “music” is NOT R&B. It’s some kind of combination of rock or pop or something. I don’t know. The Grammy Committee will make some changes BUT!! !it all boils down to who are the top artists of the pas 12 mnths or so and it is based on popularity and who has the top selling CD’s eventhouh the grammy people say it is not it really is just look at the nominees from this past awards and last year all nominated had singles played and were written and or talked about ad nauseum. Ok..I take it back! Jimmy Jam COULDN’T have a DAMN thang to do with this! I mean..the MOST important genre gets..”cuts”!? It’s bad enough that We DON’T get ANY “TV time”! Sheeeit!, most can’t even say WTF has been nominated FOR a damn Grammy, ANY year! !, due “to” the exclusion! So once again, And “We” generate ALL of the money (what’s left!) & WTF is ON radio & in the industry, in one way or another. And now “this” is the thanks We get? I bet hardly NONE of those boring as-s, insignificant genres/awards g’on miss their “time to shine” ‘on the screen! And notice…the Latins have the “Latin Grammys, And “Country”, has at least 4 fkn awards shows! So..the only genre that SHOULD be left the fk alonnne & EXTENDED! !, is R&B on the reg. Grammys! Well, YT strikes again! Stealin from Us?, & never giving back a fkn thang! But hey! it’s excepted?, & that’s “America”!